Owning your own business can be hard work, but you don't have to let worries about legal issues make it harder. As the former Director of Entrepreneurship for Carroll County, Maryland and Navigator on the Carroll Business Path, I've helped hundreds of people turn their ideas into businesses and helped many others improve their existing businesses. From entity formation to partnership agreements to trademarks and copyrights to contracts, I can help you build, expand, and protect your business. With many services offered through our fixed-rate package pricing and retainers, you can budget your legal expenses just like you do your office supplies. No unpleasant surprises or mounting fees. Call or email me today and we'll get started. From LLC formation to partnership agreements to regulatory compliance...we're here to help you not only begin, but to build a foundation for your business that is designed to last. Ask about our affordable fixed rate package options. We can take care of those things that are nagging you -- Should you get Trademark protection? Do you need non-compete or non-disclosure agreements? 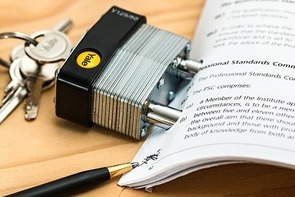 Are your vendor and customer contracts really protecting your interests? Call for more information on legal review packages and small business legal service retainers. have a specific legal need? While we seek to help minimize the chances of a significant legal issue affecting you, no one can eliminate the possibility. We're here to serve you in the event you need experienced legal help to represent you in litigation or settlement negotiations.